I’ve made the 4+ hr drive from San Francisco to Lake Tahoe countless times, yet somehow I always find myself wishing I had brought along more snacks while passing by the slew of unappetizing fast food chains along interstate 80. Even the famed Ikeda’s limits a gluten free customer to the likes of chips and salsa as their burger joint is clearly off limits. 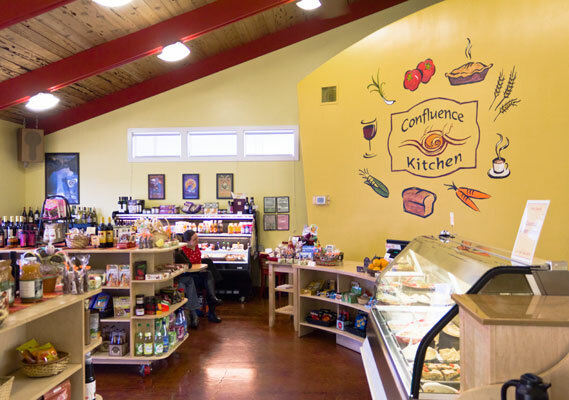 After discovering Confluence Kitchen in Auburn just off of exit 121 on 80, I knew I’d never again have face this road trip devoid of good food. 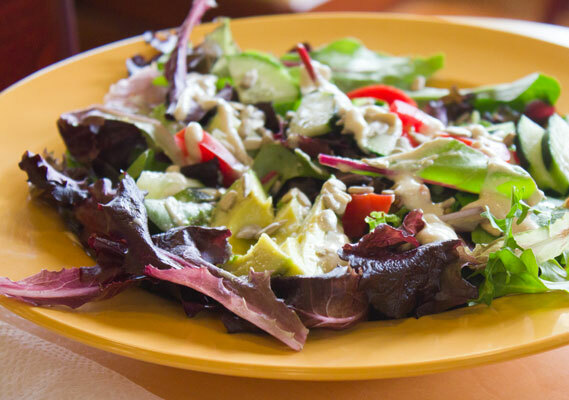 Serving fresh gluten free sandwiches, green salads and a variety of frozen meals to go, the Confluence Kitchen is truly an oasis for health conscious diners who favor local and organic produce over the dollar menu at Taco Bell. On the lunch and dinner menu there are a multitude of vegan and vegetarian choices along with fresh smoothies and pre-made specialty salads like their quinoa with roasted sweet potatoes (look for a little G on the menu to indicate gluten free). The Confluence Kitchen will make every effort to prep sandwiches on a gluten free surface as long as you express the need (the owner assured me that their cooks are trained on how to avoid cross contamination by prepping gluten free orders on a separate surface with fresh utensils and condiments). While you await your order, pick up specialty groceries for the rest of your trip. In the freezer you’ll find their organic frozen meals- some of which are gluten free like their sausage and pepper polenta lasagna, chicken and sausage jambalaya, and black bean enchiladas. 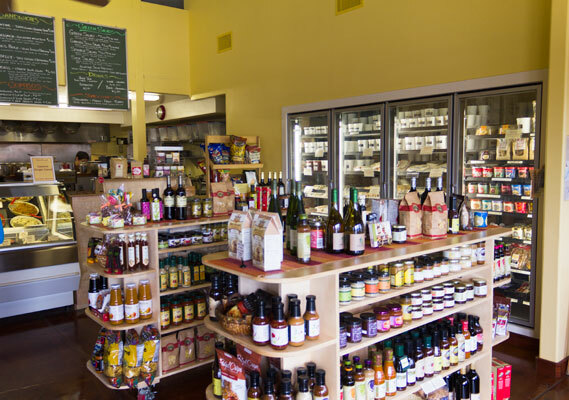 The market also stocks local fresh baked gf breads and baked goods in addition to artisan cheese, gf crackers, Pamela’s baking mixes, cookies, small batch jams, mustards, gluten free beer and raw food items. The last thing I thought I’d find along I80 was a gourmet grocery crossed with a health conscious deli serving gluten free and vegan sandwiches, it’s great to see gluten free awareness spreading to smaller towns like Auburn! This is a great place with a super friendly staff. Best of all is the mini market – perfect for road trip snacks!!!!! You don’t have to be GF to love this place but if you are, prepare to go wild on delicious and interesting snacks. It’s spots like this that make eating healthy a pleasurable treat!